Northwoods Residentsubmitted by Jason R. - Mar 31, 2019 |Recommended: YesI have been a resident Northwoods for 4 years. I couldn't ask for a better place to live. The staff are professional and the residents are friendly. I have recommended Northwoods to my friends looking for a new place to live. The location is ideal for nearby shopping and the property gated. Northwoods is by far one the best apartment complexes I have experienced. Great Complexsubmitted by Derrick W. - Feb 28, 2019 |Recommended: YesNorthwoods has terrific service and incredible apartments. Overall a good place to livesubmitted by Donald Z. - Feb 11, 2019 |Recommended: YesDoes Northwoods have its faults Sure. But the positive outweigh the negatives by far. Apartments are clean and recently updated. Maintenance is prompt when something goes wrong. My main complaints would be be no parking on my side of the building to be fair its the only spot like it in the complex . And the laundry card system is a little inconvenient. And the maintenance people do occasionly track mud into the walkways with their golf carts. Other than that any complaints I would have are outside of the complex's control. Occasional noisy neighbors and cars parked where they shouldn't be when I go to park. Both of which are issues at any apartment I have ever lived at. Location is great. Super close to all Avon shopping and pretty easy access to 465. Great placesubmitted by Reagan T. - Dec 05, 2018 |Recommended: YesIf you’re looking for an affordable, clean, apartment this is definitely the place Everyone here is very nice and it’s all very well put together. Love it here. response from property - Oct 18, 2018 Thank you for letting us know that you are happy with the community! It is a very nice property. The only real problem I had is how well I could here my neighbors.submitted by Desiree L. - Oct 16, 2018 |Recommended: YesIts a nice place to live good community good people. The employees are nice and well informed and can help you with what you need and make the residence a priority. response from property - Oct 18, 2018 Thank you for your review! If the noise you are hearing from your neighbors is during quite time please let us know so that we address it with you neighbors. Thank you for choosing Northwoods as your home! Great place to livesubmitted by Trisha W. - Jun 02, 2018 |Recommended: YesBy biggest complaint is that there is no w d hook up in the apartment, but the laundry facility is big, clean, and well priced. response from property - Oct 18, 2018 Thank you for your feedback. We are happy that you enjoy living at Northwoods! Pleasant place to livesubmitted by Makenzi B. - Jun 01, 2018 |Recommended: YesThings are handled in a timely manner and the new office staff is great. response from property - Jun 01, 2018 Thank you Makenzi for the kind review. We value you as a resident and appreciate you choosing Northwoods as your home. response from property - Oct 18, 2018 Thank you for the review! If there is anything we can do to improve the community please contact the office at 317-271-0701 or email me at danielle.earickson@milhaus.com I would love to hear any suggestions that you may have. Helpful and Knowledgable Staffsubmitted by Francis B. - Apr 05, 2018 |Recommended: YesI came to Northwoods for a tour, and Dani was instrumental in informing me of what was around the area. She not only told me what was around Northwoods, but rather she told me good and bad areas all throughout Indy. 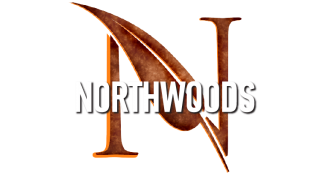 She was very helpful in answering all of my questions while doing it in such a positive and friendly manner I would recommend Northwoods to anyone. response from property - Apr 05, 2018 Francis, Thank you for taking the time to let us know how helpful Dani was during your tour. We appreciate the feedback. Very Happysubmitted by Kari K. - Dec 02, 2017 |Recommended: YesWe love it here. We are very happy with our home and the management. Both Meko and Angela are wonderful and prompt with anything we need.